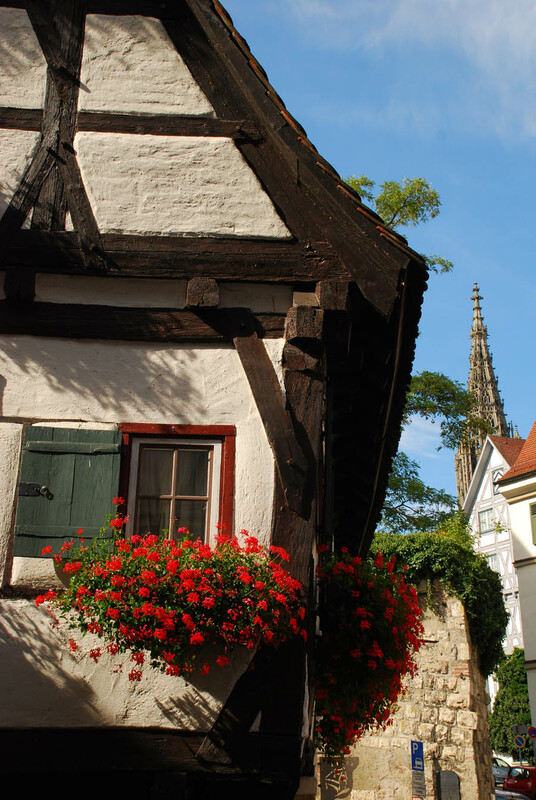 The Packwoods had just completed a rather intense week of experiences visiting their ancestral villages in Rheinland-Pfalz. 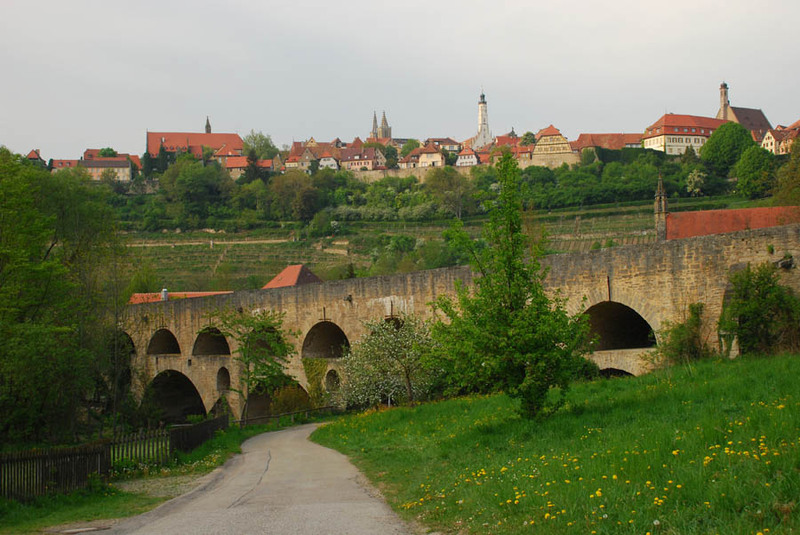 As the trip wound down, we made a stop for a couple of nights in the medieval town of Rothenburg ob der Tauber before continuing on the 4th to Dachau, where their escorted trip ended and their independent travel would begin. Along the way, a stop for lunch at “Zunfthaus der Schiffleute” in the old fishing quarter of Ulm. The Packwoods are familiar with this city’s little brother, New Ulm, located in southern Minnesota. 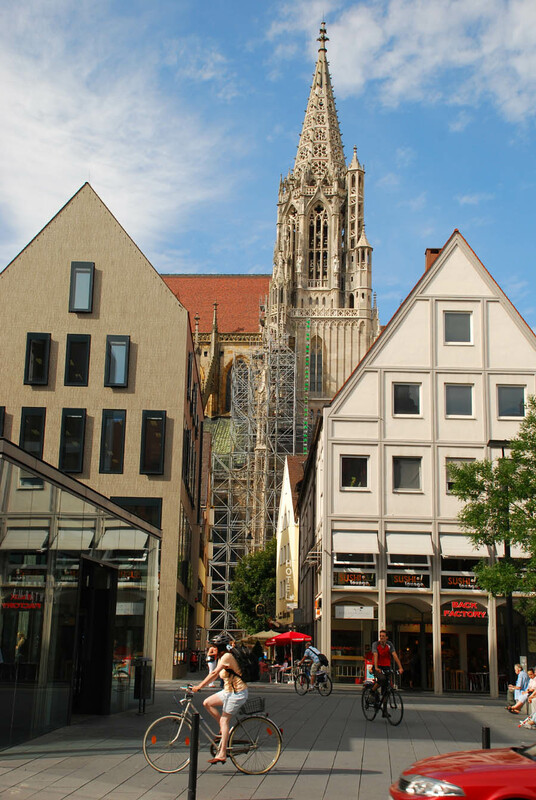 We wandered the old cobblestoned streets of the part of Ulm untouched by WWII bombs, gazed at the Donau (Danube) River flowing peacefully through the city and wondered at the crazily-angled half-timbered houses, some of them built in the 1400s. Lunch was “German Macaroni and Cheese,” as Jim calls it. Actually, it’s delicious spaetzle with a light covering of cheese. Half a portion was more than enough. For Bill, the local speciality of maultaschen, or little pockets of dough, lightly friend and filled with a secret mixture of spinach and liver plus some other unknown additives. The recipe is so closely-guarded that the chef prepares the spices at home and brings them in each day. 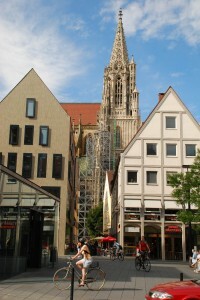 Posted in Family History Tours, Germany Tours and tagged packwood, rothenburg, ulm.